The best packaging for extra virgin olive oil is an amber or green glass bottle (glass does not alter the taste of the product and is recyclable) or a stainless steel container that protects it from light. Long-time exposure to natural or artificial light (including halogen and fluorescent lights, often used in big stores) may compromise olive oil’s taste and destroy some of its health-inducing properties in a process called photo-oxidation. For this reason, it is best to steer clear of olive oil in a transparent glass or plastic containers. According to the EU Regulation, olive oil labels must include certain information, such as its net weight, country of origin, expiry date, nutritional values and storage conditions. Look out for this information - if there’s something missing on the label, it means the quality of the oil isn’t guaranteed. Read more about certification and label terminology. ‘The fresher, the better’ is the basic rule when selecting olive oil. Always pay attention to the ‘best before’ date or harvesting date on the label. Extra virgin olive oil should be pressed within 24 hours of harvesting and bottled soon afterwards. When stored in optimal conditions (protected from light, heat and oxygen) extra virgin olive oil can maintain its freshness for 18 months of its bottling. Read more about how to store olive oil. 4. Is it extra virgin? 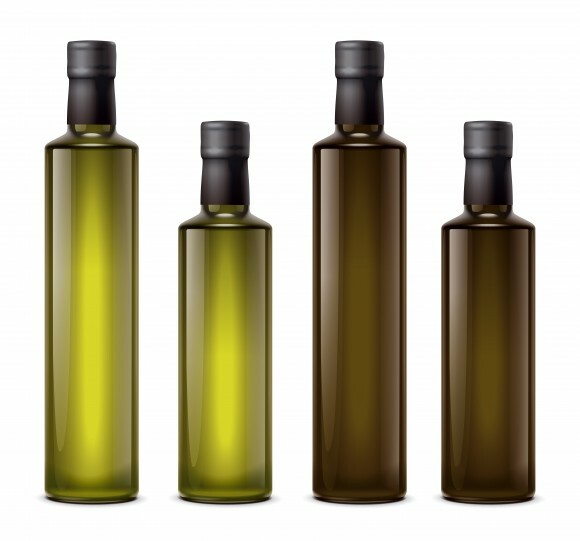 Extra virgin olive oil is the healthiest of all olive oil types available on the market. It is cold-pressed from fresh olives without any chemicals being used in the process. This is essential to preserve its precious phenolic antioxidants, as well as its characteristic taste, look and smell. If the label simply says ‘olive oil’ or ‘pure olive oil’, it means the product is a blend of lower quality refined oils and virgin olive oils. Read more about .different types of olive oil. Read more about certification and olive oil quality. Some extra virgin olive oils bear a special traceability label (such as a QR code) which can be used to find out more about the product’s origins with the touch of a button. In effect, the consumer can trace all stages in the oil production chain, from farming and milling to storage and final packaging. As defined by the European Regulation (EC) 178/2002, the concept of traceability helps combat fraud and adulteration in the food industry. Read more about traceability. Taste: can vary from nutty and citrusy to prudent and spicy. A slight bitter aftertaste that pinches the throat is a good sign – it suggests the oil is high in healthy polyphenols, which have antioxidant properties. To conduct the tasting like a professional, read ‘How to taste olive oil’. Finally, while the price of a bottle of olive oil doesn’t tell you everything about its quality, the fact is that high quality olive oil is not cheap. Go with your instinct - if the price seems too good to be true, it probably is. Are you sure the olive oil you choose is of good quality?